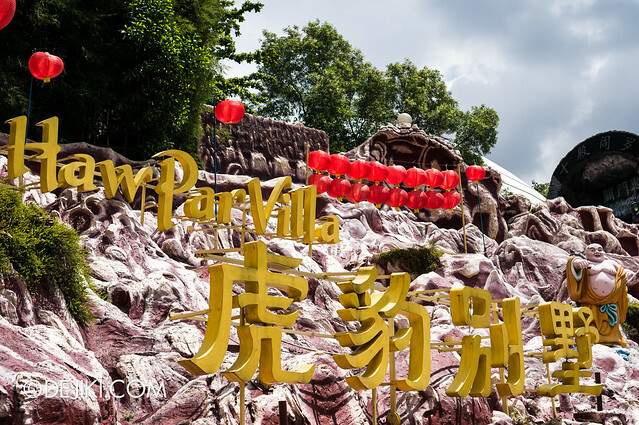 Haw Par Villa is a theme park lost in time. 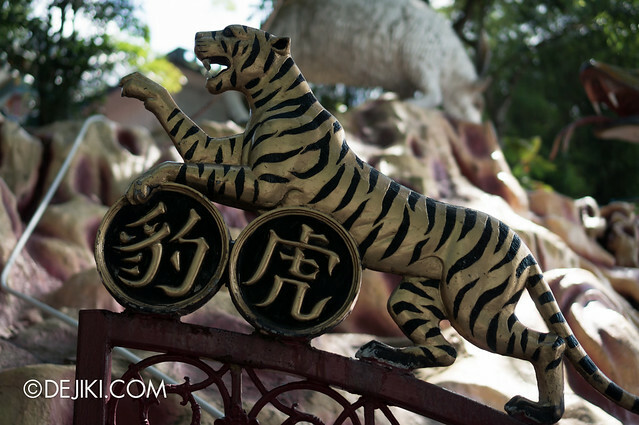 Originally called the Tiger Balm Gardens, this quaint park was built by the founders of Tiger Balm – the Aw brothers. 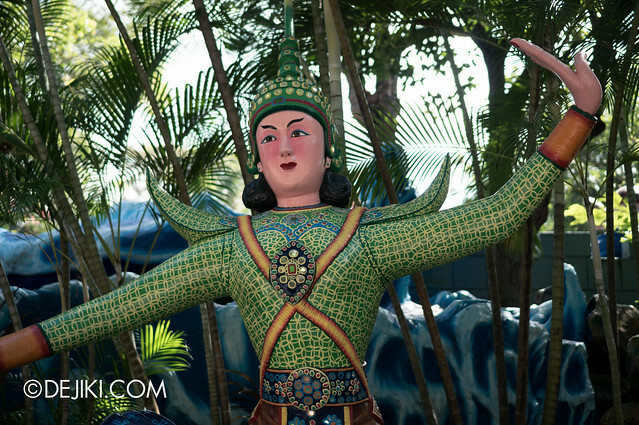 It is filled with thousands of statues and dioramas to depicting Chinese mythology, history and traditional values. 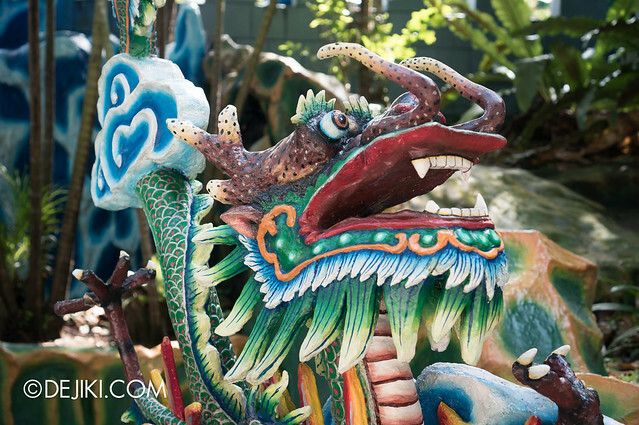 Under new management in the late 80s, the gardens evolved into a theme park – Haw Par Villa Dragon World, complete with shows and rides. 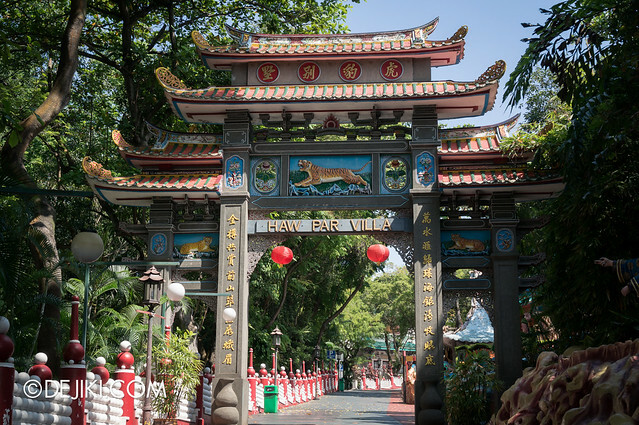 Today, Haw Par Villa no longer operates as a theme park with entertainment, but is still open as themed gardens. 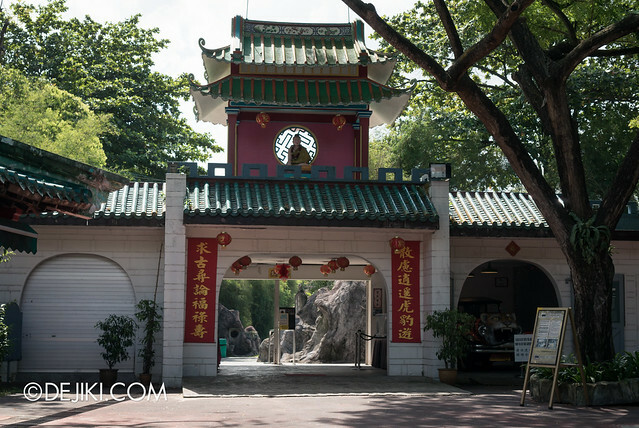 The park is easily accessible with a new MRT station built right next to it (Circle Line, Station CC25). 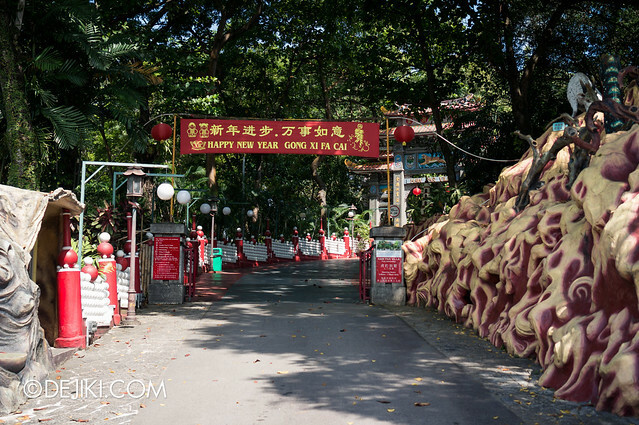 Most of the grounds are still kept tidy. 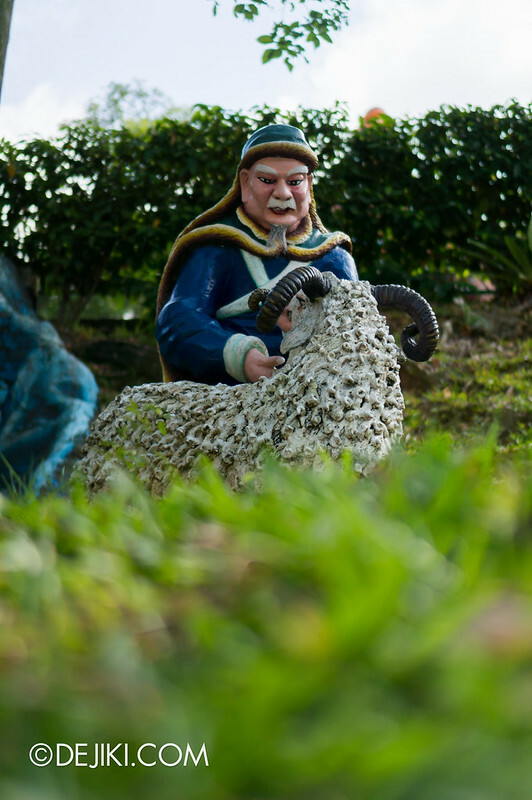 Some statues were given new life with periodic restoration, while others remain weathered, with diminished colours and flaking paint – a reminder of the park’s glorious past. 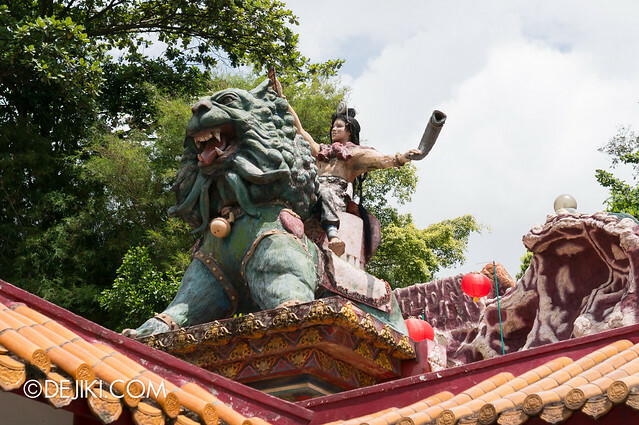 Step into nostalgia with a 5-part photowalk series of Haw Par Villa. 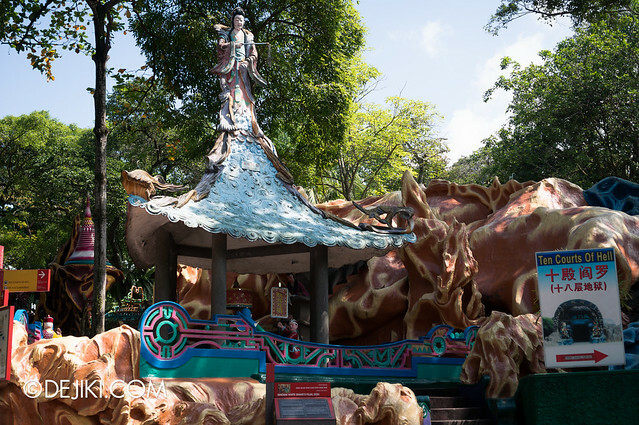 Haw Par Villa is a short walk from the Circle Line MRT station (CC25). The road into the park is lined with this dramatic and flowing rockwork. 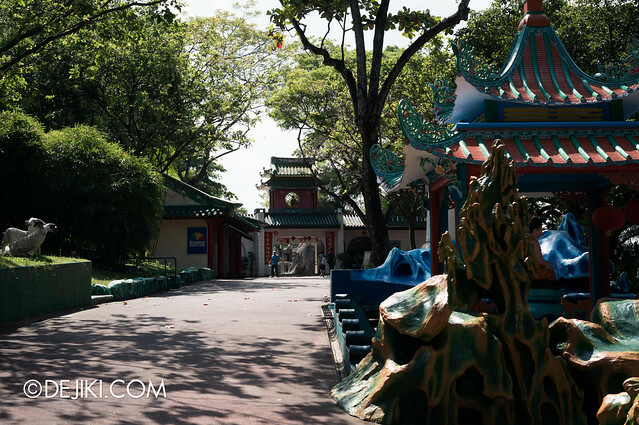 If you visit on a weekday, like I did, then it’s a very quiet walk in (and around) the park. The Aw Brothers’ names etched in a stone tablet at the entrance. 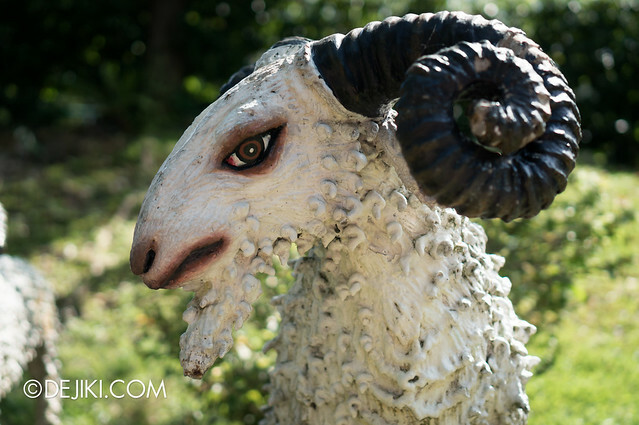 The park is open from 9:00AM ~ 7:00PM daily. 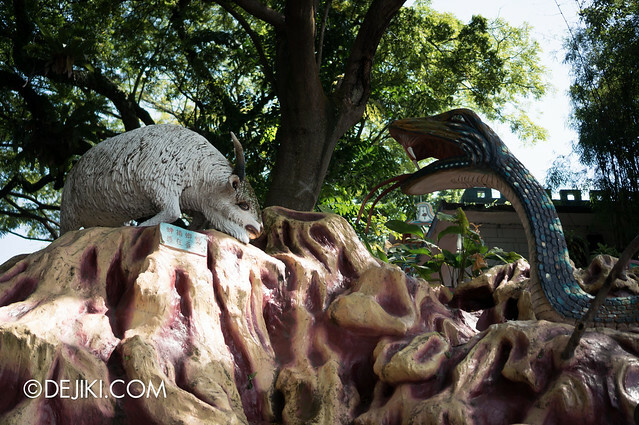 Giant creatures along the entrance. 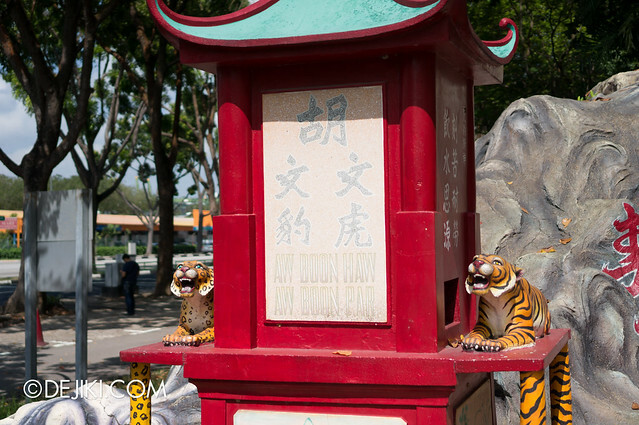 Detail on the main gates – this side showing a tiger and the words “Haw Par”. 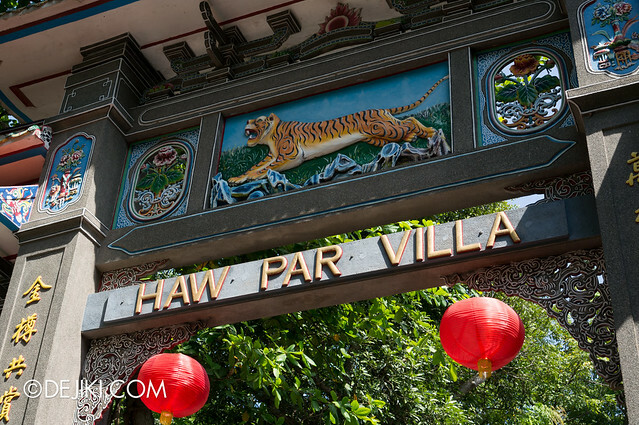 The other side shows a leopard and “Villa”. 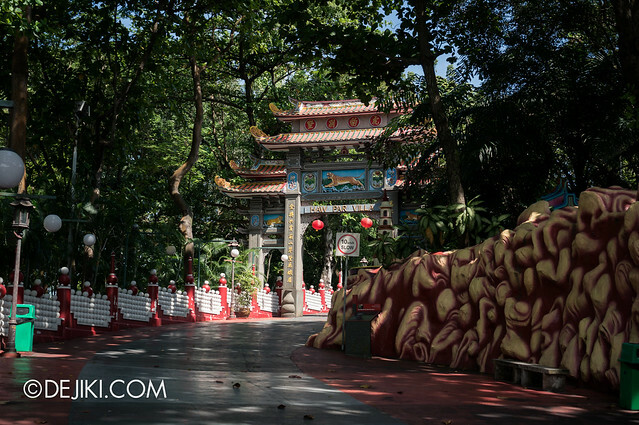 Sunlight hitting the majestic paifang, or ornamental archway, leading into the gardens. Notice how the area before this is well shaded, and the height of the trees drop here? It creates a rather dramatic effect. This area is like a typical theme park’s entrance plaza. Nothing much to actually see, but a couple of segmented spots for guests to take photos. 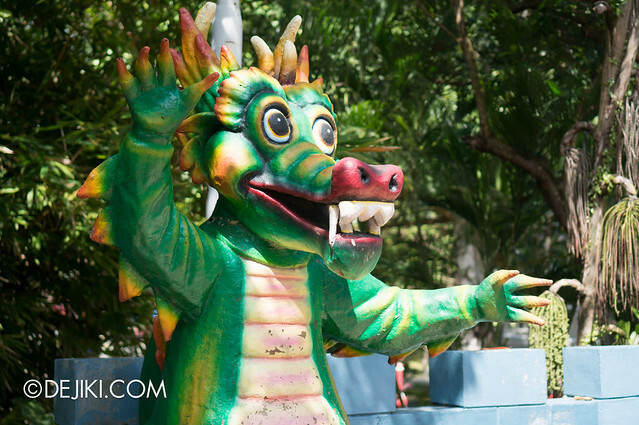 There is a statue of a dragon… strangely sculpted to like a mascot character. Look at the details of the seams and folds. 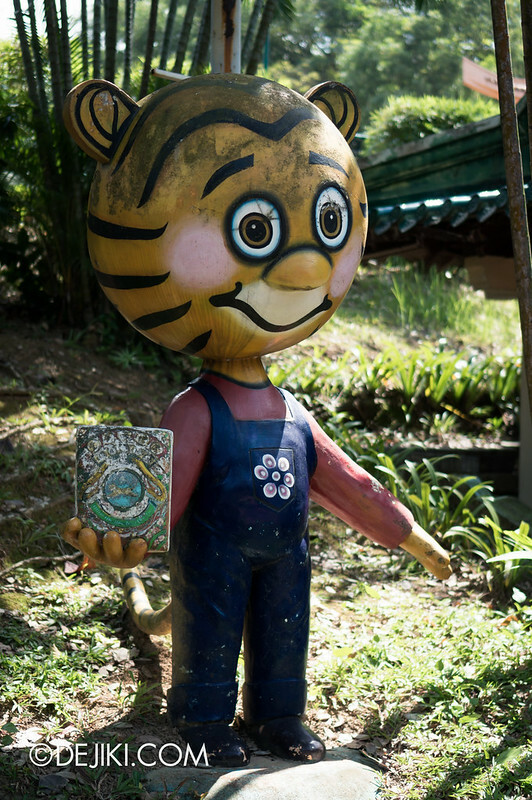 One of the cartoon tiger characters used to advertise Tiger Balm in the old days. 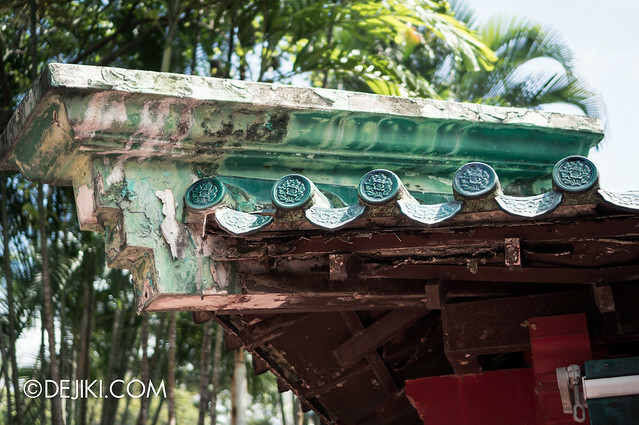 I was attracted to the deteriorating elements of the park. Look at the gradual decay of the roof’s colouring here. A photography and souvenir store that has closed (for good?) 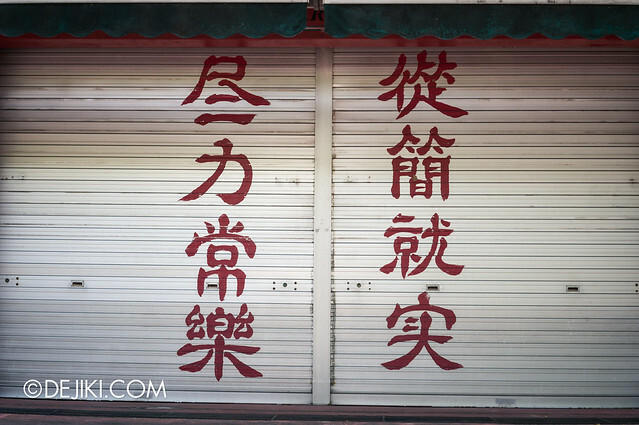 with “从简就实，尽力常乐” written on the shutters. 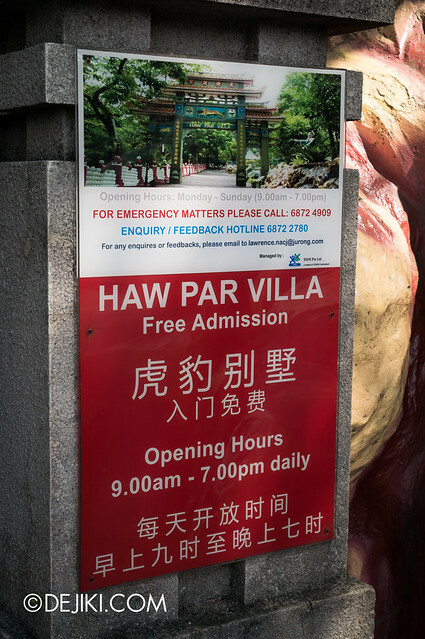 In the next entry, we will descend into the park’s famous Ten Courts of Hell attraction.